In these days of dark and deeply flawed protagonists, you don’t find too many old-fashioned heroes in fiction any more. I’m not necessarily referring to dashing swashbucklers or ruggedly handsome cowboys, although my concept of a hero can certainly encompass a good-looking one. What I’m thinking of is an upholder of justice, a thoroughly decent person, someone you know will stand up and be counted, even though it might involve some sacrifice along the way. You’ll notice that I’ve used the word ‘person’. By heroes, I also mean heroines, but for now I’ll focus on the heroic male protagonist. My favourite fictional hero is Harper Lee’s Atticus Finch. 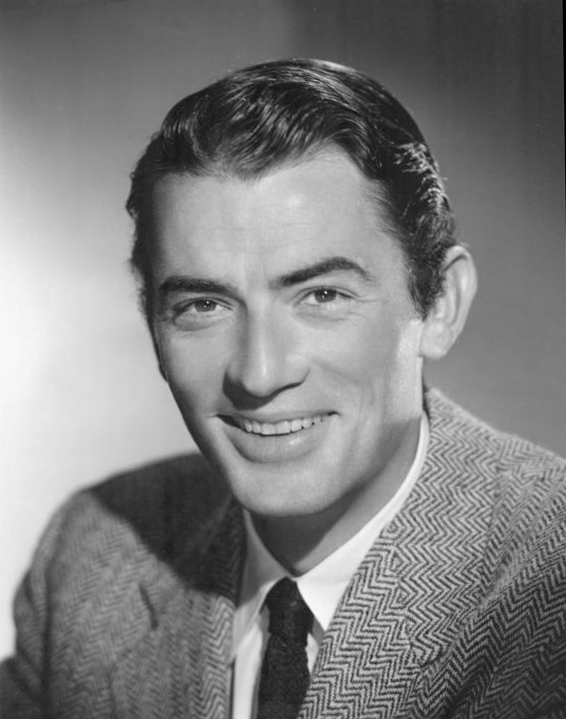 Anyone who’s seen the movie will no doubt visualise him as Gregory Peck, tall, square-jawed and gentle, yet assertive when he needs to be. Atticus is a man of great compassion, not afraid to show his vulnerability, particularly when it comes to his love for his children. Another favourite of mine (who just happens to be a cowboy) is Tom Booker from Nicholas Evans’ novel, ‘The Horse Whisperer’. He’s kind, intuitive and manly – the perfect ‘metrosexual’, except that he lives in far-flung Montana, not the city. The character of Tom Booker is now so enmeshed in my mind with Robert Redford’s performance in the film that I’m a little biased about this one. But I remember thinking Tom Booker was the kind of hero I’d like to see more often in books. In my own small way, I’ve tried to create an old-fashioned hero in the person of Charles Chen. I wanted him to be a man of strong convictions without being self-righteous. I fell in love with him at the same time Amy did. I’m not sure that it was a wise thing for an author to do. Feeling that way probably clouded my judgment about him. Then again, I couldn’t help myself! I’ll be interested to hear what readers think of Charles. Let me know your thoughts. As someone who loves to shop, I’ve always been fascinated by the word ‘emporium’. An emporium isn’t just an ordinary shop – it’s storehouse of possibilities, a veritable Aladdin’s cave filled with treasures. That’s why I was thrilled when I first saw the finished cover of ‘Mr Chen’s Emporium’, featuring the building itself, a mix of Oriental and European, with its cast-iron dragon brackets, Chinese-red doors and classical urns perched on the traditional Victorian-style parapet. Through the open doorway I could glimpse an array of wondrous wares, vases, plates, jars, figurines and silks, all highlighted in gold. It was exactly as I’d pictured it. The notion of an emporium gave me my male protagonist – the shop’s owner, a man who would be articulate, dignified, entrepreneurial and, of course, handsome. Someone with echoes of the revered historical figure, Quong Tart, who, among his many achievements, ran the famous tearooms in the Queen Victoria Market Building. I tried many different names before I actually decided on ‘Charles Chen’. Instantly a picture of him formed in my imagination, dressed in a brightly coloured silk waistcoat, embroidered with dragonflies. I have to confess that I fell in love with him right from the start. As the French say, it was a coup de foudre. When I found the old French text on the internet, I scrolled down the first page, expecting to be put off by the archaic language. Instead, I was pleasantly surprised that it was both charming and remarkably easy to read. (Thank goodness for those three years of French I did at uni.) I wasn’t sure how I would thread the eighteenth-century Aladdin into my own story, and I certainly didn’t want the fairytale allusions to seem contrived, so I just started writing and let Aladdin himself lead the way. Sometimes there are parallels between Aladdin and Charles; at other times their lives take very different directions. But no more details here – I don’t want to spoil it for you! People sometimes ask me if there really was a Gold-Rush-era emporium owned by a Mr Chen. I’m sorry to say that both the building and its owner are simply products of my imagination. As for Millbrooke itself, although it has echoes of many localities including my own town, I see it as a mythical place rather than a real one. I was amused when an acquaintance from the Southern Highlands told me she was certain that Millbrooke was really Berrima. Someone else thought it might be Beechworth; my publicist said it reminded her of her hometown in south-eastern Queensland, while another friend suspected it was Coolamon, largely because they have a wonderful old emporium there, which has been preserved as a heritage centre. Anyway, I’m really delighted that the town I created possesses a universality which can be applied to many places. Because the Gold Rush towns of south-eastern Australia all boomed at around the same time, most of them have a common architecture, characterised by cast-iron lace, striped metal awnings and fancy parapets topped by Grecian urns. There will almost certainly be several pubs with big verandahs, their libertine pasts balanced by a similar number of gracious stone churches. You might even find a school of arts building, old-style stores and rows of charming cottages. Many of these towns also share a similar climate, very different to temperate, coastal locations like Sydney. There are four distinct seasons, producing blossoms in spring, warm (but not humid) summers and golden-leafed autumns. Depending on how you feel about cold winters, that particular season could be described as either ‘brisk’ or ‘harsh’. Don’t get me started on frost. I’ll save that for another time. The other thing that these gold towns have in common – and this applies to rural Australia in general – is a sense of community. I recall seeing a little photo of a teddy bear on the front page of our local newspaper with a caption asking for the owner to come and claim it. To me, that encapsulates the ties that bind a rural community. Even the little things are important. And everybody counts. When I was a little girl, I loved to listen to my grandmother’s stories about growing up in the Central-West of New South Wales during the early years of the twentieth century. At thirteen she left school but continued her education by reading everything she could get her hands on. Although novels were banned in the O’Brien household, she read them anyway, hiding in the barn for hours on end, immersed in Dickens or Thackeray. Sometimes she would tell me about her Irish grandparents who had settled in the area at the end of the Gold Rush era and made a new life for themselves, running a sheep farm. All those tales lived in my memory for decades, but I never thought to write about them. Not until several things came together in my life at the one time. After years of searching for a country weekender, my husband, son and I fell in love with a little cottage on the banks of a creek frequented by platypuses. Two months later the place was ours. Meanwhile, I had begun work on the novel that my mother had been encouraging me to write, ever since she first read the stories I used to pen as a teenager. The fact that I myself was a ‘blow-in’ gave me the starting point: two women recently arrived in a rural town. Worthy, but not too exciting unless … there was a dual narrative – then and now. I decided to set the ‘then’ storyline in the Gold Rush era and to make its leading lady the teenage daughter of a dour Scottish clergyman. She would be a lot like my grandmother, a girl from a strict family, who is feisty and just a little rebellious. In the present-day, my heroine would be a ‘woman of a certain age’, who moves into the house where the girl from the past once lived. No ghosts or time travel though. Just real connections, which unfold as the story progresses. As to what the connections might be, I wasn’t sure, apart from the obvious – the town and the old manse. I never like to plan things beyond the initial idea. I just let my characters run loose and see what happens. And in the case of ‘Mr Chen’s Emporium’, the parallel storylines became interwoven in ways I could never have imagined possible.